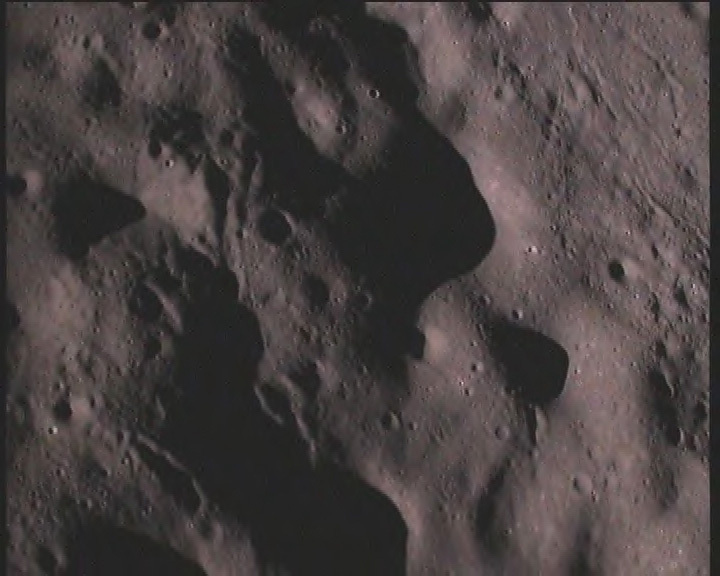 This is the picture of moon's surface taken from lunar orbit by Chandrayaan-1 spacecraft's Terrain Mapping Camera (TMC) on November 15, 2008. 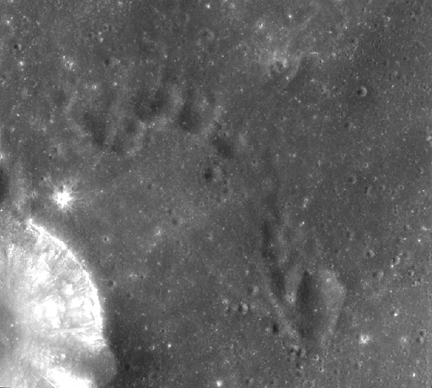 Taken over the polar region of the moon, the picture shows many large and numerous small craters. 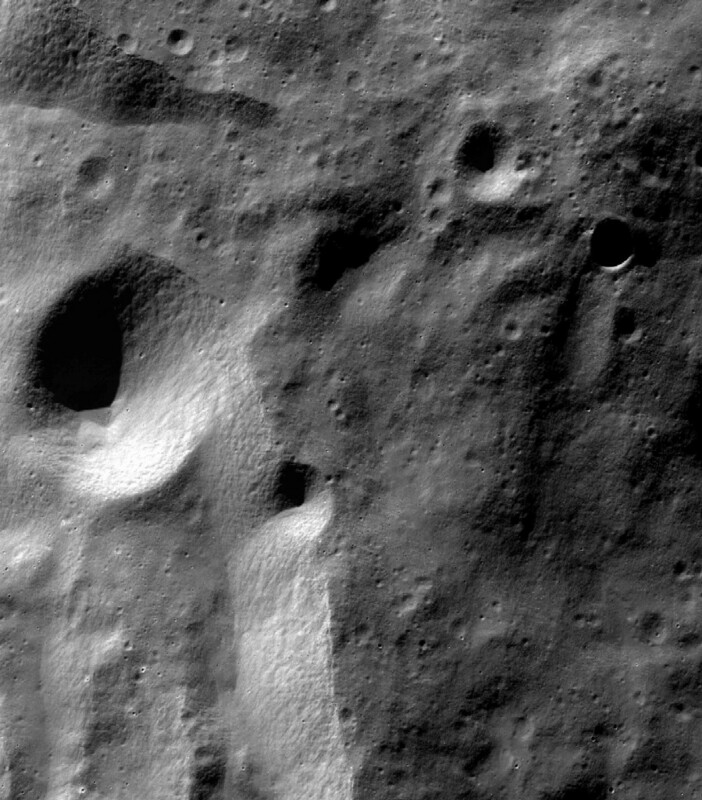 The bright terrain on the lower left is the rim of 117 km wide Moretus crater. 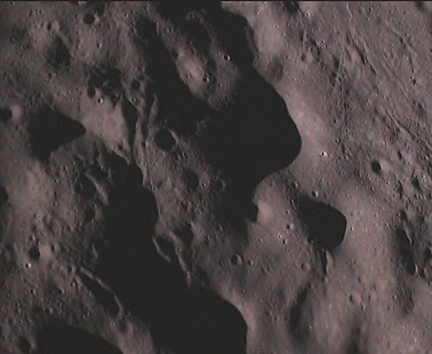 This is the picture of moon's surface taken from lunar orbit by Chandrayaan-1 spacecraft's Terrain Mapping Camera (TMC) on November 13, 2008. 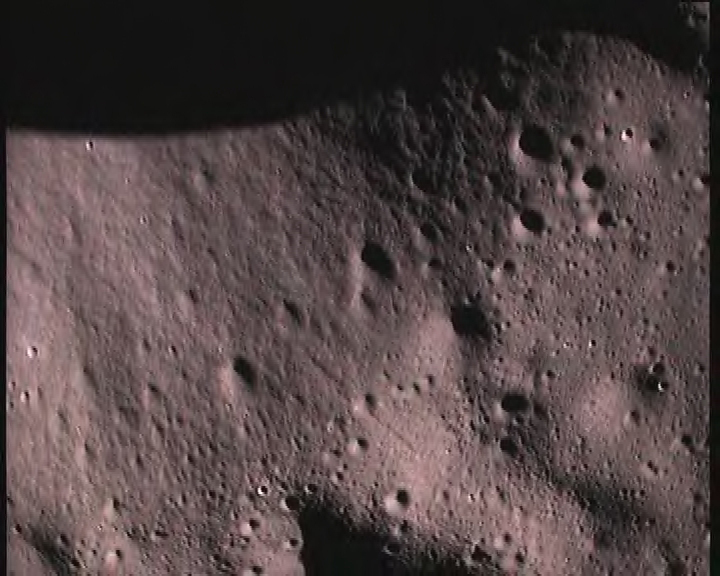 Taken over the equatorial region of the moon, the picture shows the uneven surface of the moon with numerous craters. 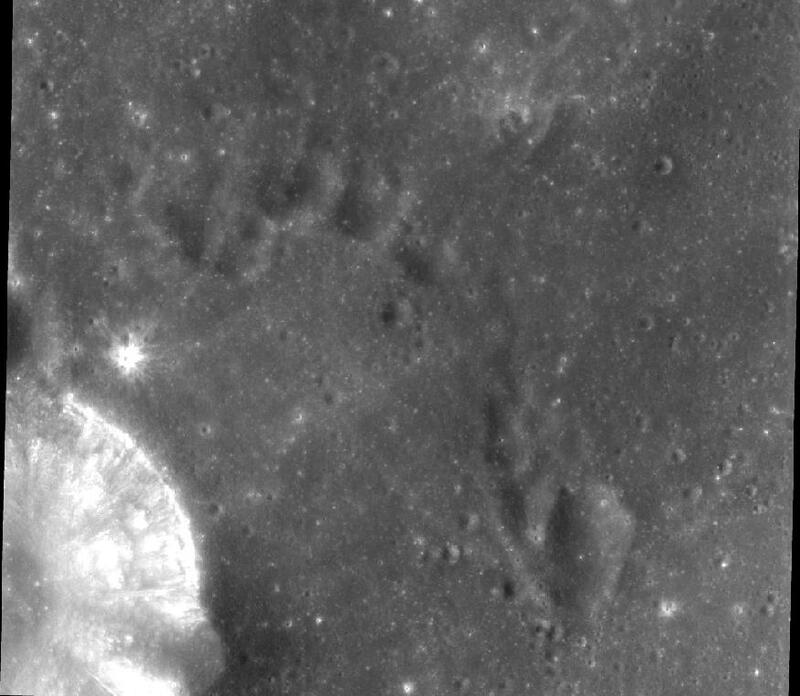 On the lower left, part of the Torricelli crater is seen. 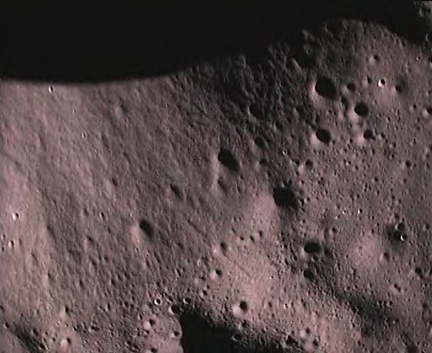 These two are close up pictures of the moon's surface taken by Moon Impact Probe (MIP) on November 14, 2008 as it approached it after separating from Chandrayaan-1 spacecraft. Please note that these pictures are reproduced as received.